Playing games is one of the good ways for passing our free time. People like to play games on smartphones, PC’s and tablets. Candy crush game is very popular puzzle game. Almost everyone has played this game at least once. It is an three match game with addictive twists. But people are getting over it. Most players are finished with the levels or are bored of the game. Hence, players are looking for new games with similar as well as addictive game play with something different. Therefore, there many similar games like candy crush which offer more features and something different to move to. Hence, if you want something new then you must try alternative games to Candy Crush Saga. In this article we are going to discuss the some games similar to Candy Crush with new feel and game play experience. List Of Best Similar Games Like Candy Crush. 7. Farm Villa Harvest Swap. 8. Happy Forest Cute Animal Match. 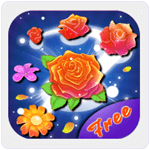 Blossom Blast is another popular game very similar to candy crush and provides a garden look. It is three match puzzle game which is easy to play yet difficult to master. Blossom Blast offers 150 different challenges. This game has a rating of 4.7 on Google play store. It offer stunning graphics with amazing sound effects. It is one of the similar games to candy crush which is also a three match puzzle game. 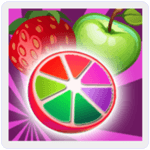 In this game we have to match three similar fruits in a row to clear various levels. Fruit Juice jam provides a better look and feel than candy crush. It has a rating of 4.6 on Google play store. This game requires Android 2.3 or higher version. 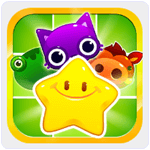 Bejeweled stars is another game in the list of similar games like candy crush. 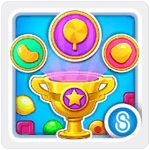 It is also a three match puzzle game in which we have to match three similar jewels in a row to clear the level. It has many features like burning gem, electrical gem which make it more interesting. We can also play friendly competitions with our friends. Candy Blast Mania is also a popular candy matching game. In this game we have to collect candies for a purpose to defeat the Gummy bear, an evil king. We do not have to complete levels like other games mentioned above. Players can also complete weekly challenge to become the top player of the week. 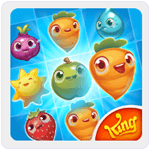 Collect the more candies by matching them and use them against the evil king. It is available for Android and iOS platform. 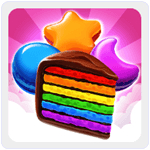 This game is also developed by Candy Crush Saga game developers with new theme and story. In this game we have to defeat rancid raccoon which is trying to destroy our farm with crops. We can also compete with our friends to stay on the top of leader board. It is also available for Android, iOS and Web browsers. It provides a farm look and feel with stunning graphics. Cookie Jam is also a good in all similar games like candy crush. We have to complete different levels and float our way through bakery island. We can also connect it to Facebook to compete with our friends online. It provide never ending fun with thousand of different unique mission. This game requires Android 2.3 or higher version. Approximately 50 million people download this app. 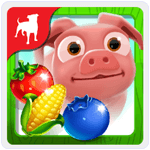 Farm villa Harvest Swap is a 3 match challenging and adventuring puzzle game. It is available for IOS and Android device. The game has a rating of 4.4 on Google play store. Just swap and swipe your board to clear. Also connect with Facebook to compete with your friends. It is a light weight Android game with nice graphics. Approximately 5 million user have downloaded this game. Happy Forest Cute Animal Match is also a good alternative game to candy crush. It has a rating of 4.1 on Google play store. We have to match three creature of the forest in a row to complete various levels. It provides an easy to use interface and decent graphics. We can also unlock many different powers to get high score. It is available for Android and iOS platform. 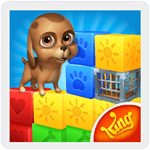 Pet Rescue Saga is also a good three match puzzle game with different theme and story. In this game we have to save our pets from Pet snatchers. We can easily save them by matching the tiles of same colors. We can also play with our friends and it provides leader board to check our friends progress. Approximately 5 million user download this game. Let’s get ready to play three match puzzle game with Disney characters. Choose your favorite character from frozen movie and match the similar ice crystals to get more score. Unlock the different power and score ups to compete with your friends. It provides 600 different challenging level. It is easy to play but difficult to master. In conclusion, these are the best similar games like Candy Crush. If you feel we missed your favorite game, please share it with us in comments below. Tell us which of these games you like the most.